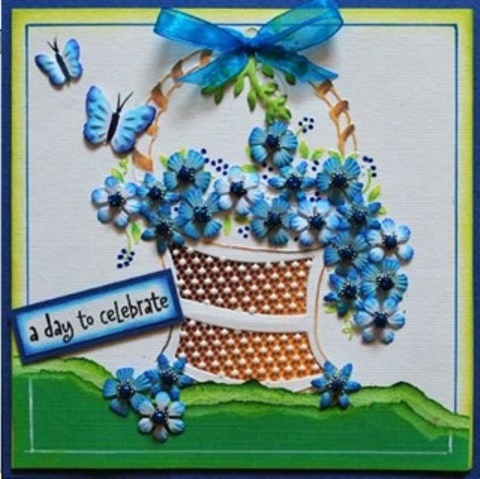 Pontura Card Set -3 cards/envelopes - Basket of Flowers. These cards can be used with the Pontura paints and Pontura Frames. 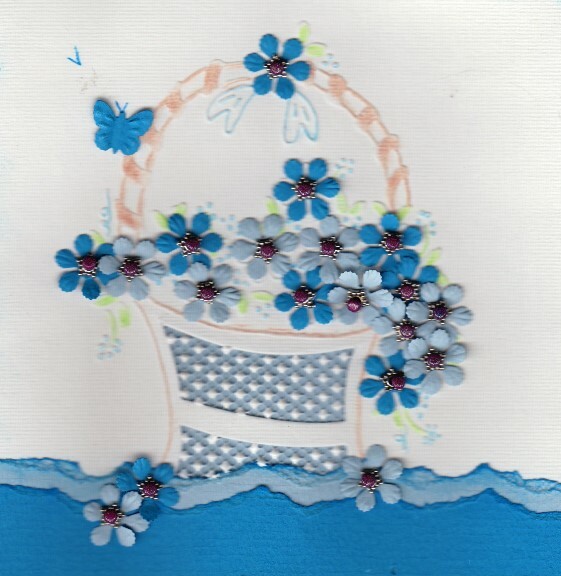 Ponk cards have a mesh netting incorporated into the design on the card. When Pontura paint is applied to the netting in drops the drops stay on the netting to add colour and you can mix and match colours to create a unique effect to your cards. 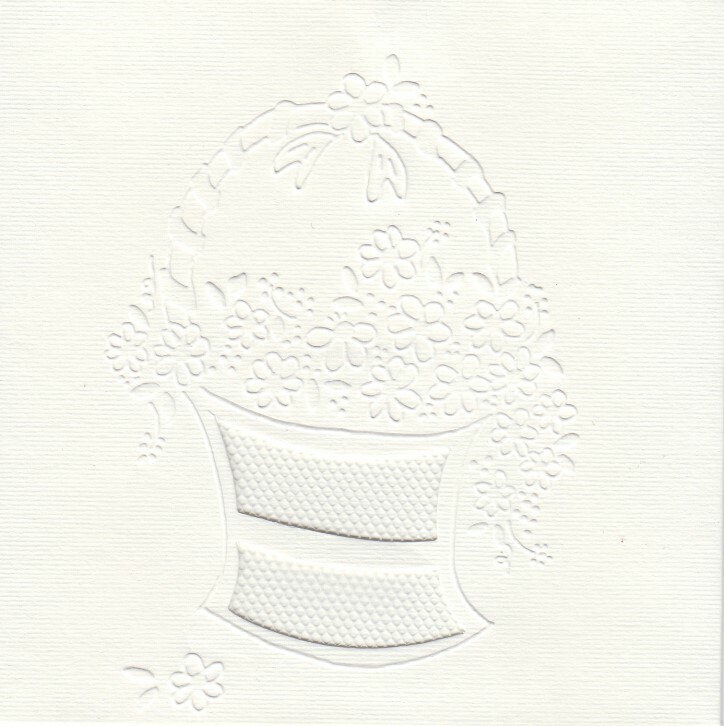 Card size: 5 1/8" x 5 1/8".